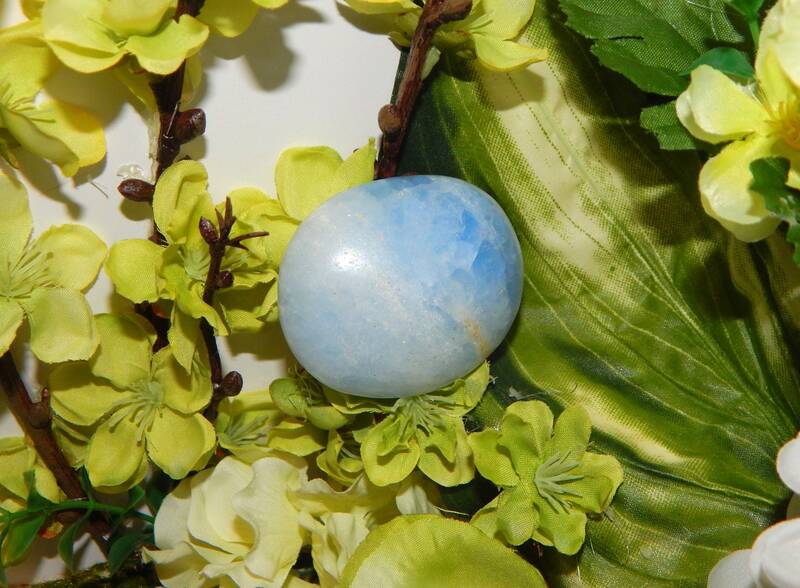 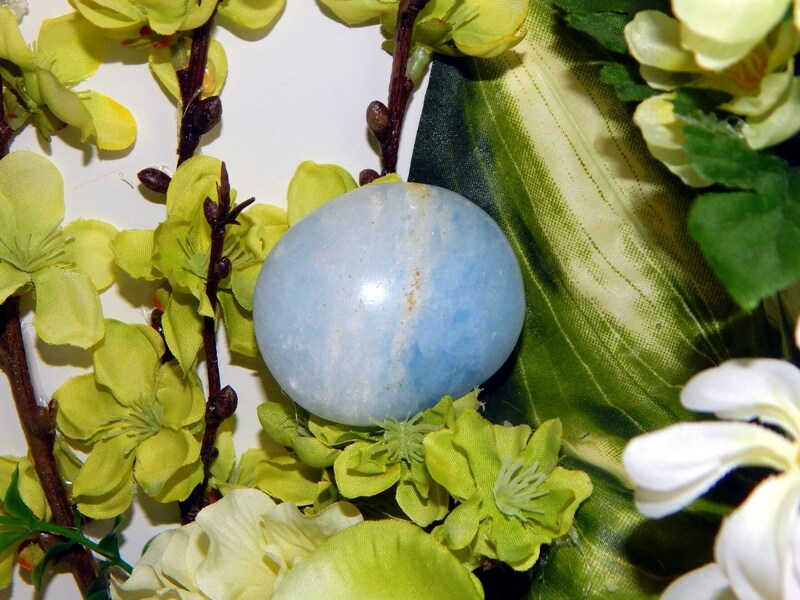 This is a beautiful blue polished Celestite (Celestine) palm stone with shiller. 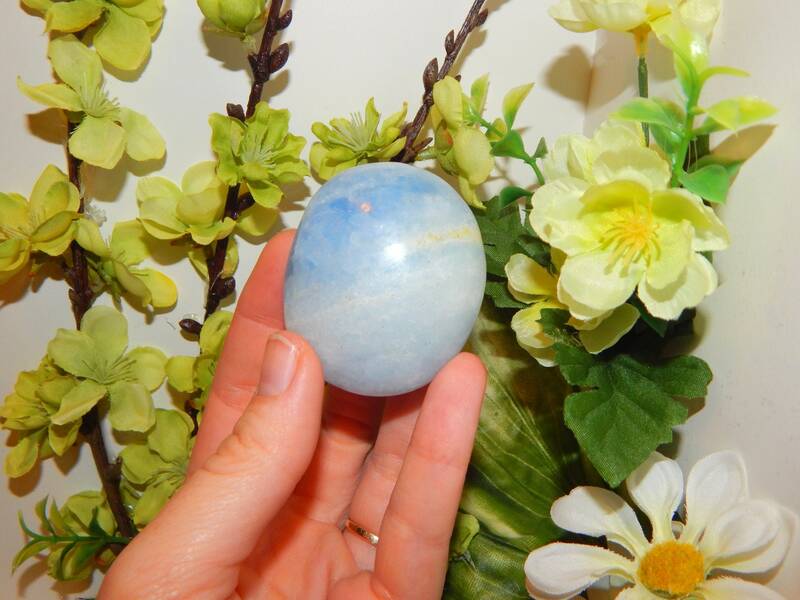 It has a very soothing energy and weighs 82 grams. 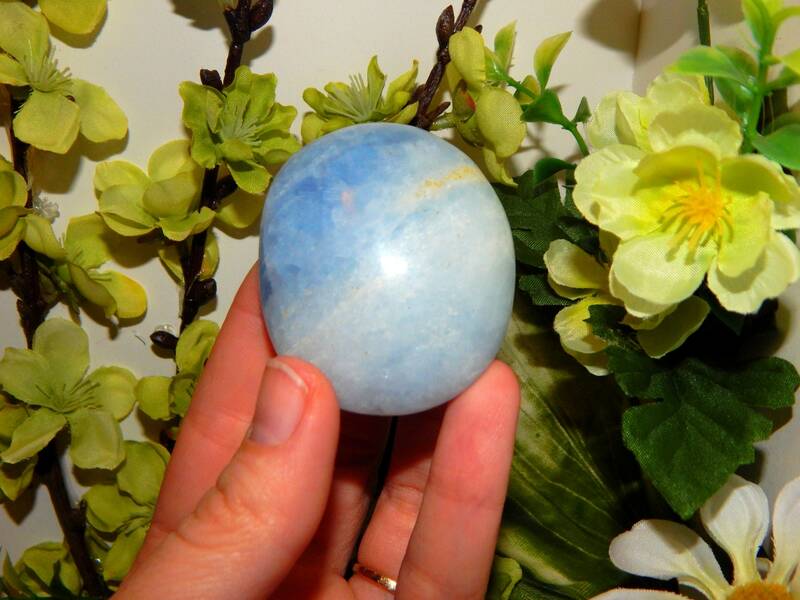 Celestite formations are usually rather fragile, however this smooth polished piece would be perfect for personal use and reiki applications.